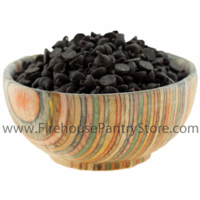 Semi-Sweet (Dark Chocolate) Chocolate Drops are made with vanilla to give a light, sweet taste to cookies, brownies, fudge, and cakes. We like to sprinkle them over ice cream. Miniature-sized chips (4M = 4,000 drops per pound). 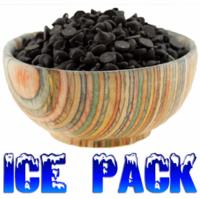 Ingredients: sugar, chocolate liquor, cocoa butter, dextrose, soy lecithin, vanilla. Contains Soy. Packaged in a facility that packages wheat, milk, soy, egg, peanuts, and tree nuts.